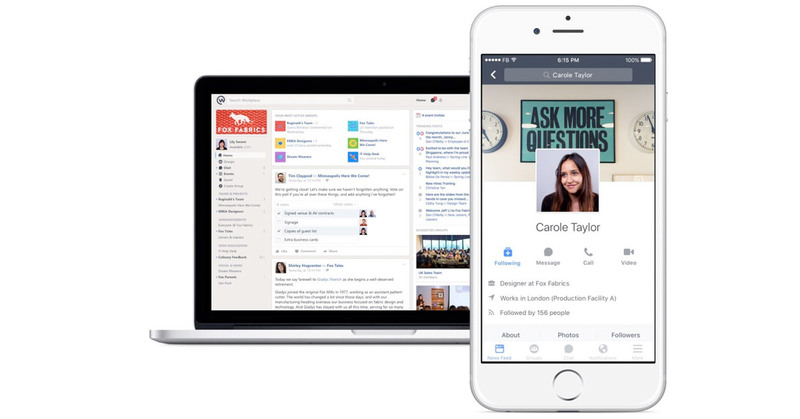 Facebook launched its Workplace platform (formerly known as Facebook at Work) on 10th October 2016. So what is Workplace? Following several private trials, this compact business solution is now open to all kinds of companies, including not-for-profit organisations and educational establishments. It’s highly beneficial for workplace communication and for use within teams to enhance dialogue at any organisational level. 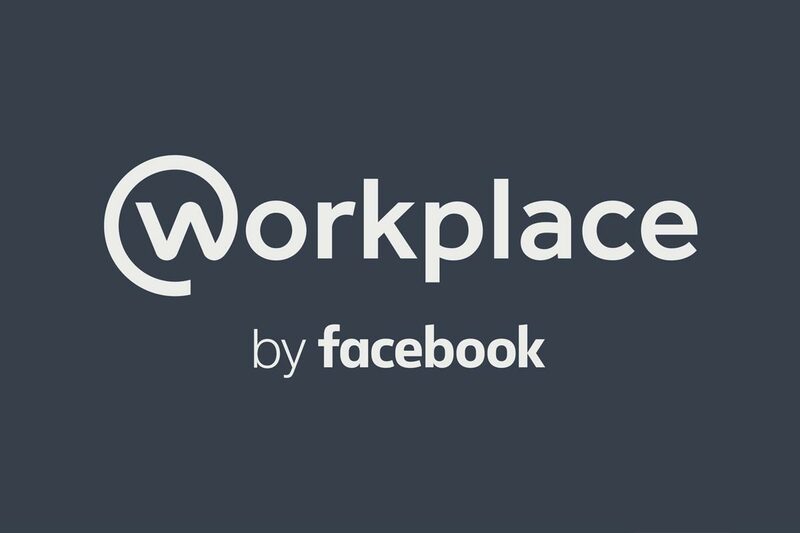 Facebook has announced that over 1,000 world-wide organisations are already using Facebook Workplace. The major players are the US, UK, France, Norway and India. In promotional terms, Facebook’s main aim is to make the already popular features such as Chat, Messenger, Groups and Facebook Live indispensable to companies by integrating these with their everyday work processes and communications. Although, there’s much more with a whole host of new features for companies to enjoy in this neat business solution. Companies currently using the new platform have given it excellent feedback. People at work have been chatting in real time with their colleagues anywhere in the world and taking part in diverse activities. For example, they’ve been participating in virtual group brainstorming sessions or watching the Chief Executive making a live presentation. So far, according to Facebook, 100,000 working groups have been created by those trialling the new platform. The company proudly announced that Workplace is for absolutely everyone within an organisation, regardless of their position within the hierarchy. Big names already using the platform include Starbucks, Booking.com and Danone, while leading not-for-profit organisations include Oxfam. Even official bodies are on board with the new features, for example, the Government Technology Agency of Singapore! So How Much Does Workplace Cost? After an initial 3-month free trial, Facebook is inviting companies to sign up to its Workplace subscription service. Competitive rates are based on a pricing model with a monthly fee for each active user. It’s true that this works best when companies have a high volume of users. The first 1,000 monthly active users are charged at $3 per user. 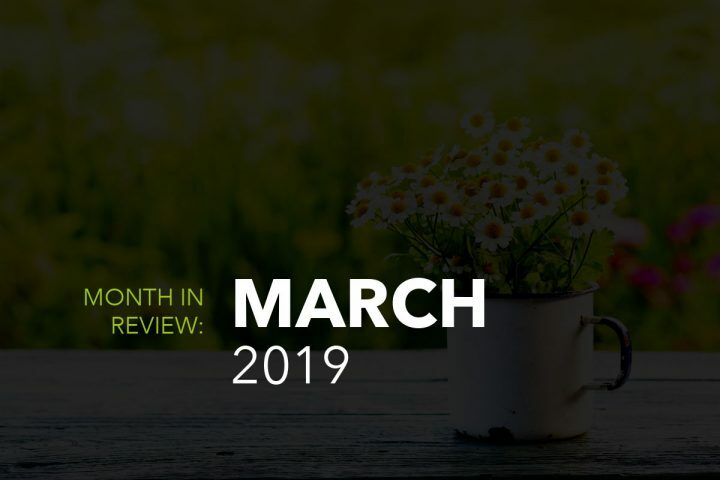 Thereafter, it’s $2 every monthly for between 1,001 to 10,000 active users and the price drops to just $1 each month for above 10,000 active users. As we’re sure you will agree, a very modest price. Perhaps a nod that Facebook is to rely on sheer volume to make up the bucks. Workplace has many unique and highly useful features. It’s entirely separate from users’ personal Facebook profiles. Basically, an account is created when someone is part of a company. Should they leave that company, the account must be relinquished. Under just one sign-in, companies can take advantage of a dashboard with advanced analytics. These measure levels of employee engagement at work. Thanks to identity providers, the platform can be integrated into a company’s current IT system including Windows Azure AD, G Suite, OneLogin, Pig and Okta. Another unique feature is “Multi-Company Groups”, which are communal areas where people from different companies and organisations can collaborate and liaise. This facilitates communal working in one safe, convenient and secure solution. Companies who collaborate frequently on projects will find this particularly useful. Prior to the official launch, this feature wasn’t available. Its inclusion indicates that Facebook knows companies aren’t lone outposts and they all have associates, partners, agencies, suppliers and vendors who they may wish to include in corporate communications. The new platform caters brilliantly for remote workers and those out in the field. 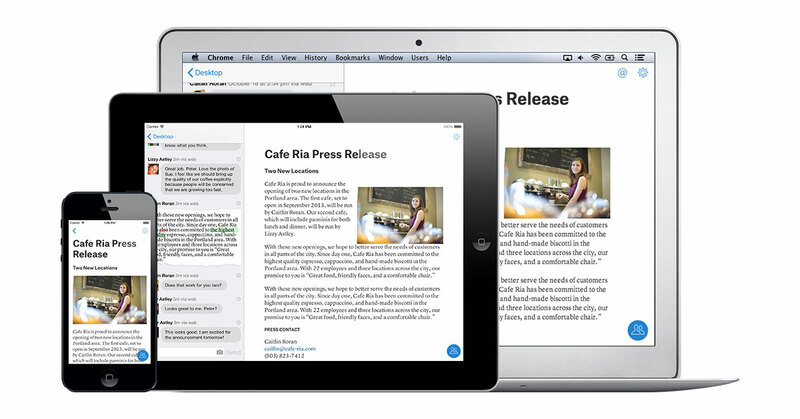 It features a Work Chat app which can be used on iOS and Android. Therefore, there’s no excuse for anyone using Workplace not to be in touch with base when out and about. 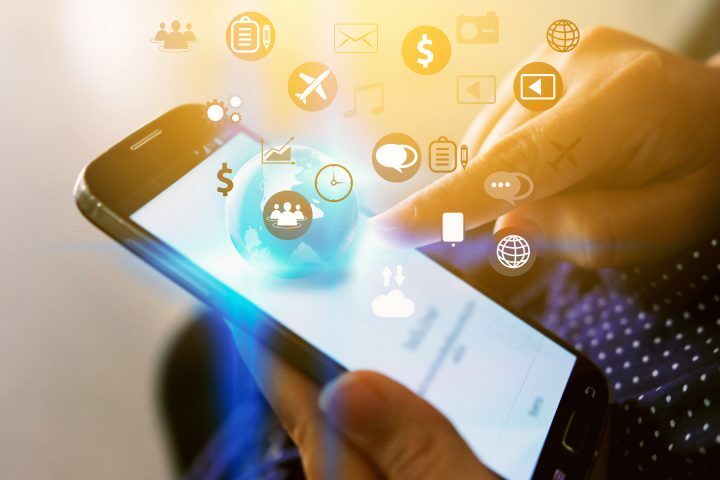 This is one of the platform’s main differentiators and the fact that it works seamlessly on smartphones and other mobile devices is a huge plus. Danone, for example, uses the mobile app for its 30,000 factory and non-desk-based employees who don’t have their own workstations within the company. The app allows them to communicate and keep up to date with the company’s news as well as gaining other valuable insights into what’s going on. This can only benefit an organisation, promoting increased employee engagement and levels of employee satisfaction. As Nicola Mendelson, vice president for Europe’s Facebook division said, internal connections have nothing to do with an organisational chart and the app is “a voice for everybody” in any company. She notes that this is especially relevant when decisions need to be reached quickly. One of the best features is that the mobile app requires virtually no training for employees to start using it. On the surface both platforms look very similar, but when you start to dig deeper is when you really notice the differences. Like the private version of Facebook for individuals, Workplace has a News Feed showing articles, news, updates and comments. These can be aimed at certain teams or the whole enterprise. The Live element of the platform allows streaming of corporate messages and other important communications such as meetings and presentations. There’s also a messenger-type system for employees to use when at their desks or on their laptops. Probably, this will increasingly replace email communications within companies. Facebook has recognised that email isn’t always as user-friendly as real-time messaging, which tends to unite employees. With around 14,500 employees, Facebook initially developed Workplace as an internal system for their employees to use. It facilitated communication within this huge company and effectively shared information on various projects. Lori Goler, the vice president of the company’s international human resources, said they see the future of work as an increasing demand among all employees for transparent communication. Workplace is the ideal solution to this. Today, all employees of the multi-million-pound Facebook organisation use Workplace as their main means of communicating within teams and for sharing information. The company also use supporting applications internally, such as Quip, which is a document creation and sharing platform. This was originally invented by Facebook and has recently been acquired by salesforce.com. Workplace is currently providing support for widely distributed teams and is a great asset for companies such as large banks and retailers who operate tens if not hundreds of offices and branches. For example, the Yoma Bank in Myanmar is using the platform to supersede old fashioned fax machines and paper newsletters. Traditional emailing could dwindle within companies using Workplace, especially when it comes to internal communications. In a competitive marketplace with many different social networking platforms for companies to choose from, one of the other giants is LinkedIn. However, the latter’s main focus is collaboration between individuals throughout industries and organisations whereas Facebook is targeting the concept of building teams within companies. In this respect, it’s more of a Slack or Yammer competitor, which are also platforms designed to improve workplace communications. 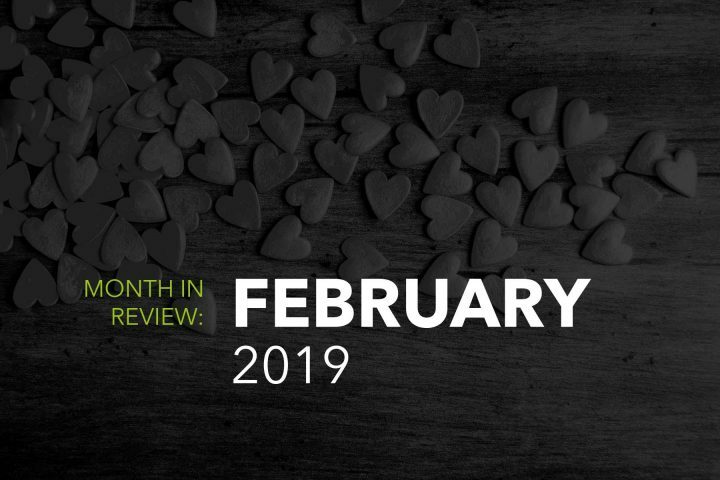 Facebook’s proven track record of success in promoting businesses is likely to put it head and shoulders above its competitors. Still, the launch of this pioneering platform is encroaching into LinkedIn’s territory. It’s little wonder that this communication solution has been hailed by many as a giant leap forward in employee engagement, forging the way into our digital future. Facebook has recognised that the future of technology is people-driven and their platform encompasses the perfect balance between people and smart technological features. So, Facebook continues to make their mark on the business arena with Facebook Workplace, securing their place as the social network revelation of the 21st Century so far.